Did you hear? 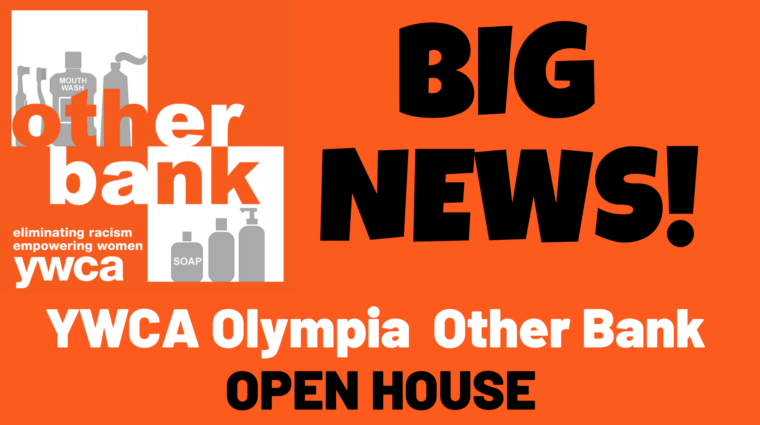 YWCA Olympia and the Thurston County Food Bank announced that we are partnering in order to make hygiene items, distributed through the YWCA Other Bank, more accessible for members of the community. Specifically, the Thurston County Food Bank will acquire The Other Bank in July 2019 and will take over the ongoing operations and delivery of this vital community service. BUT we know you have questions. Come join YWCA CEO Hillary Detamore and Board President Amelia Watson as we answer your questions during one of our Open Houses!